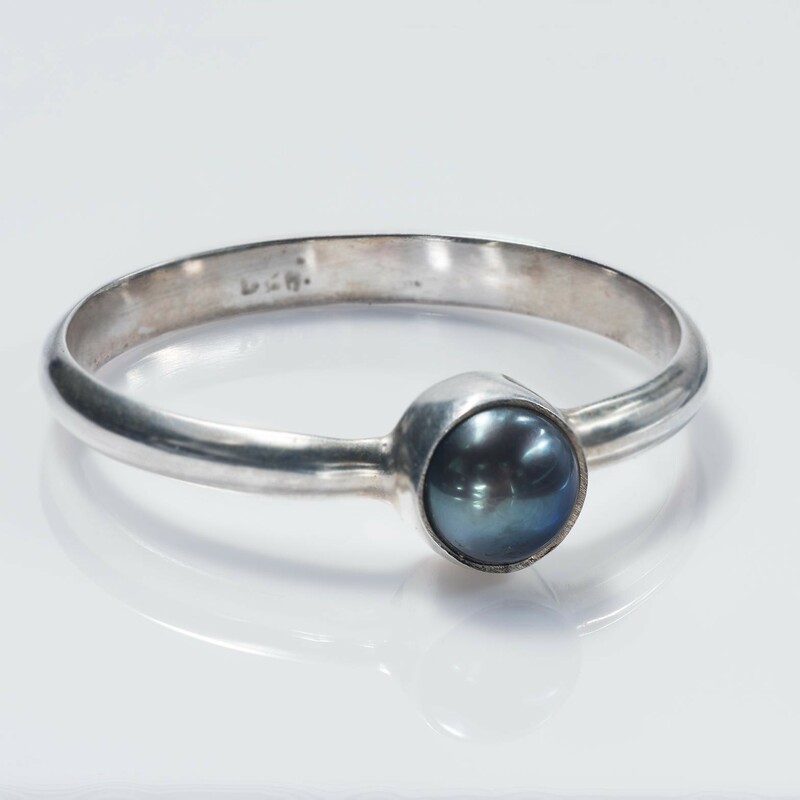 Classic cult jewelry piece known as Single Gray-Black Pearl Ring wears a simple design with single, silver-encased, dark gray cultivated pearl. Beautifully carved out as a unique jewelry design, this ring is the limelight of the statement rings. Everything craved by an art enthusiast is fu... Read more. Classic cult jewelry piece known as Single Gray-Black Pearl Ring wears a simple design with single, silver-encased, dark gray cultivated pearl. Beautifully carved out as a unique jewelry design, this ring is the limelight of the statement rings. Everything craved by an art enthusiast is fulfilled to its best with this handcrafted jewelry. Materials: .925 Sterling, Grey Mabe Pearl.